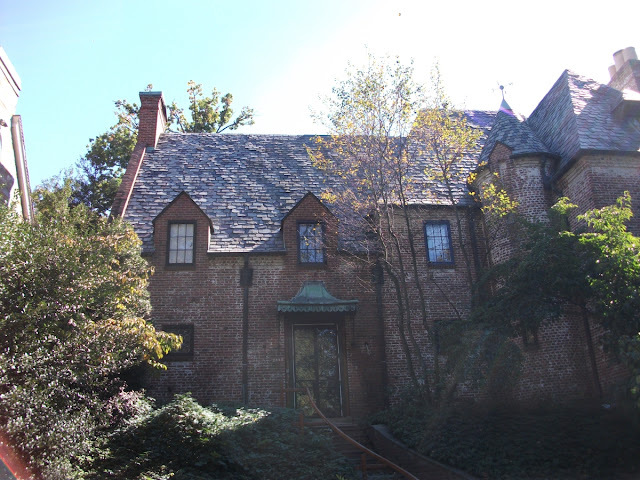 While visiting Washington DC a couple years ago, I spent a day exploring the Kalorama neighborhood and happened upon this house tucked away on a back street. It immediately captured my eye and I'd have to say it's one of my favorites of the many great houses I saw that day. It has that wonderful 1920s charm in its scale and materials. Details abound. Unfortunately, I didn't get a picture that shows the entire front facade. This picture gives you a good idea, though, of the house's size and its many architectural details. You'll notice the brick has that sought after faded from white patina that people often attempt to replicate but can't because only time can create it. Notice also the weathered awning over the front door and the great crunchy texture of the slate roof. You can see the rest of the front facade in this picture. The right side is my favorite. This full view of the right side elevation showcases its many details. 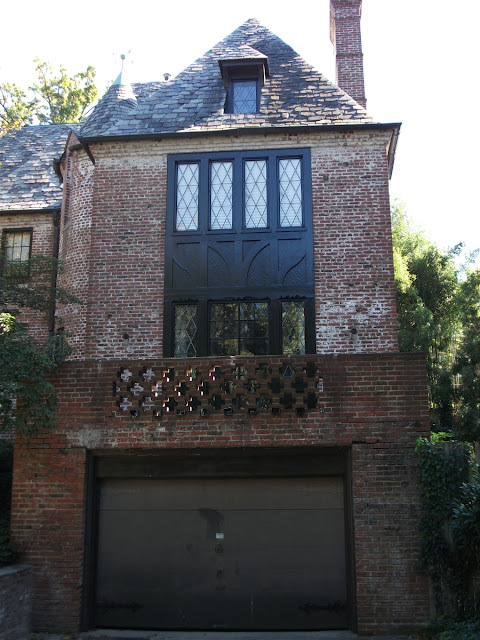 The dark painted half timbering appears freshly painted and is the perfect compliment to the color palette, helping to draw out the color of the darker bricks interspersed. You can also see some of the amazing attention to detail in the brick work here. 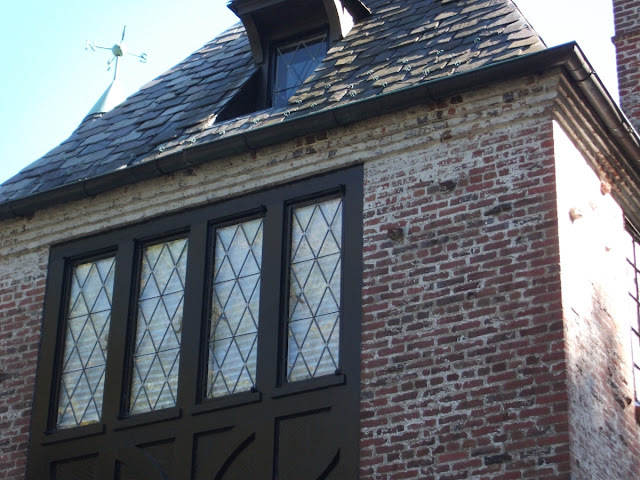 This close up view shows that brick was used to form the cornice instead of wood. I love this detail. Why aren't more houses built this way? I'm also particularly fond of the leaded glass windows. 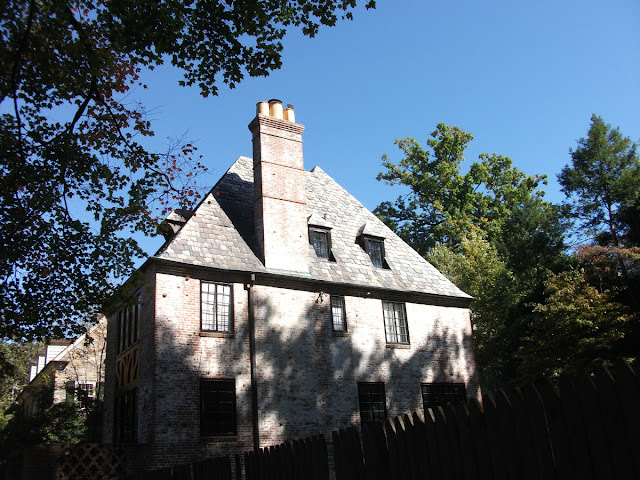 The right side elevation shows a couple diminutive dormers peaking out of the roof. It's tough to notice the scale of them here, but in person you notice they are on the smaller side, which adds to their charm. 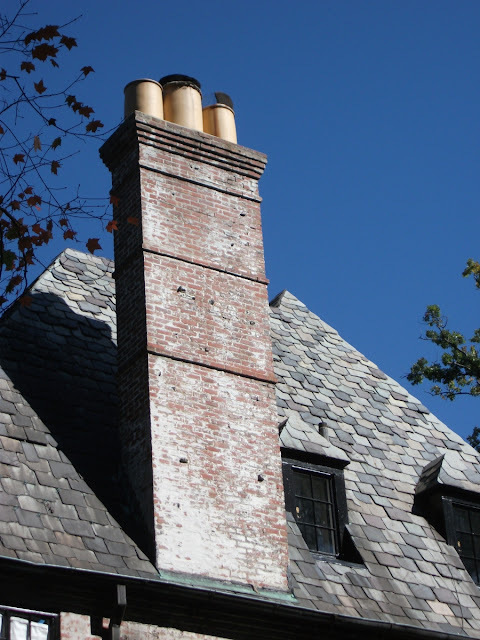 Notice also the mitered slate roof, a detail I always gravitate towards. The house has a great chimney with its banding and a crown to match the cornice below the roof eaves. You can also see the dormers a bit better here. Notice they have the same mitered slate as the main roof. 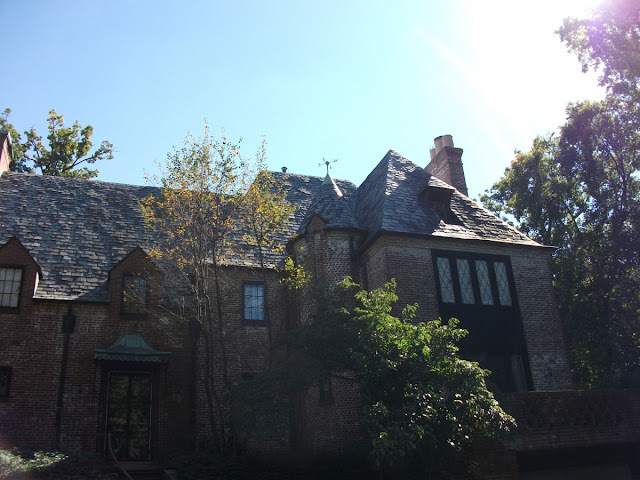 Looking back through these photos reminds me that I need to get back to DC to hunt for more houses like this. I love the hunt. It's been a long time since I blogged last and I hope that I can find some momentum to pick things back up where I left off. I still have the same passion for architecture and design, just less time to write about it. You can follow me on Instagram now, though, for more up to date mini-posts on some of my adventures to find interesting architecture, design and landscapes. Your cheering section is still here. We 100% for corbel cornices. What a home! Full of charm and character!! We are fortunate to have many beautiful old homes here in DC.